From start to finish, the team at Eagle Automotive is there for you, which is one of the reasons why we offer towing to Littleton drivers. Your vehicle will be towed to our auto repair shop, at any of our three locations in Littleton. After your vehicle is towed into Eagle Automotive, our auto mechanics will get to work fixing your car. Whenever and wherever you need us, our objective is to be there for you, and towing is just one example of how we aim to accomplish our goal. At Eagle Automotive, we don’t want you to be stranded with a broken down vehicle, but if you are ever in a stressful situation like this, we will be there to ease your worries with towing and excellent auto repair. Upon arrival at Eagle Automotive, we can set you up with a ride back to your home or work or possibly get you a loaner vehicle. Our auto mechanics will figure out what is causing the problem in your car, and soon enough, you will be back on the Littleton streets. “Finding an honest, reliable mechanic is like finding a needle in a haystack. Eagle Automotive is that needle! After finding several issues with my car, the staff addressed them professionally and without price gouging. I have dealt with some horrible mechanics in the past, many who condescended and spoke to me as if I were a complete idiot. That does not happen here. They are respectful and don't assume the customer knows nothing. The mechanics are top notch. The office staff are helpful and friendly. I will continue having my car serviced here and strongly recommend you consider doing the same. 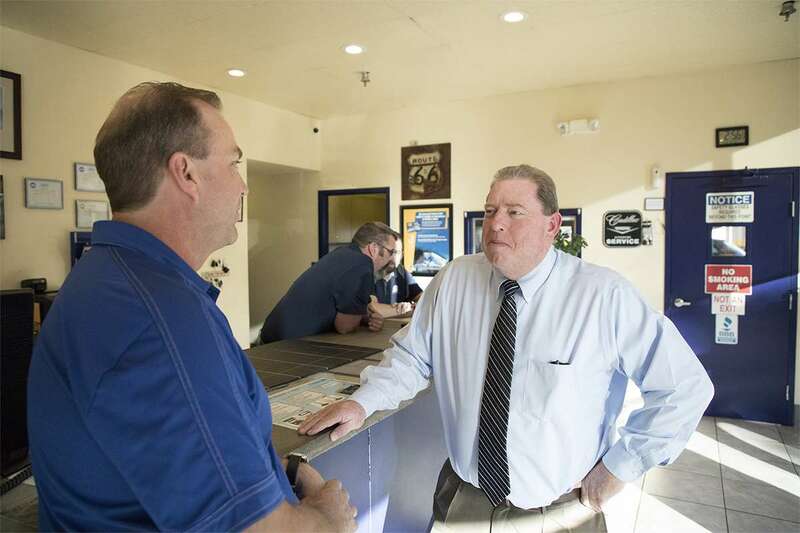 You will receive respect, honesty, quality service and reasonable prices.” -- Dianne M.
Eagle Automotive has proven time and again to Littleton drivers that they are the go-to choice for towing. As a facility dedicated to progressing forward, our auto mechanics and rest of our team are constantly looking for ways to learn and grow. 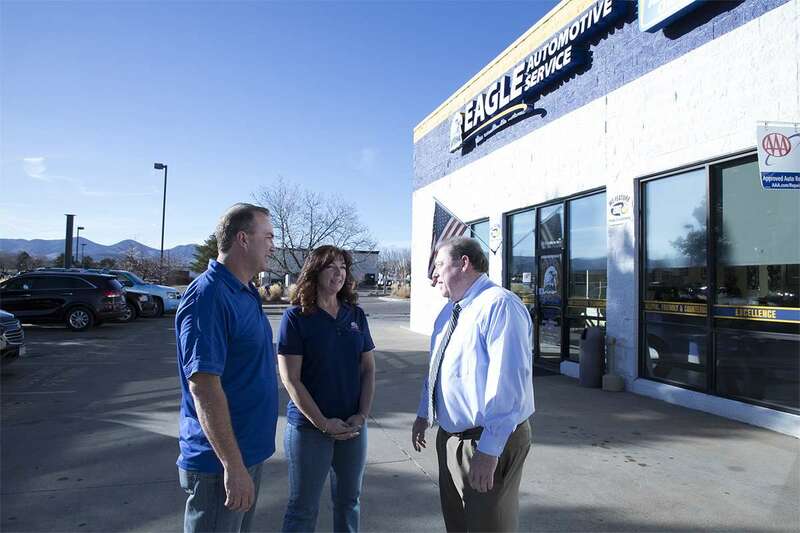 The next time you need auto repair, don’t hesitate to contact our team at Eagle Automotive. You can schedule an appointment online at any of our locations in Littleton.